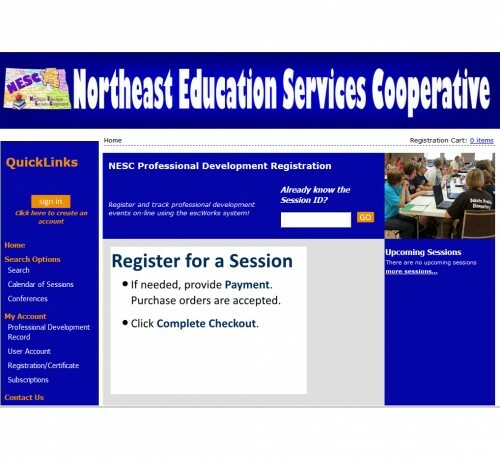 The NESC’s event registration system, escWorks, is used widely by the ND Regional Education Associations. When you first go to escWorks, you will be asked to create an account in order to register for NESC professional learning events. This account will keep track of all NESC events you have registered for. You will still have to register with the universities to receive credit.